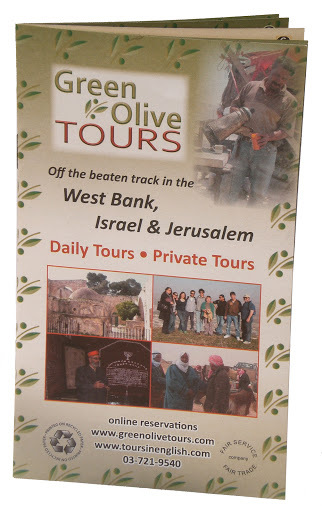 Green Olive Tours is a Social Enterprise in Jerusalem, specializing in alternative tours to Hebron, and the entire country once known as the Western British Mandate, from the Mediterranean Sea to the Jordan River, and from Lebanon to the Sinai Desert. About 78% of this area is now the State of Israel, and 22% (West bank and Gaza) has been under Israeli Occupation since the military conquest in 1967. 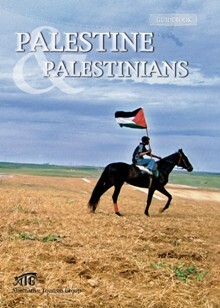 About 25% of the Occupied areas are semi-autonomous regions run by the Palestinian Authority, including part of Hebron. Ensuring that local communities benefit from our activities and tours. Facilitating people-to-people contact between our guests, and local people. Providing experiences so our guests can begin to understand the complexity of the issues here. In addition to the Hebron Tour, we conduct tours to many other cities, including Bethlehem, Ramallah, Nablus, Jericho, and Jenin. Participants visit refugee camps, historical and religious sites, and see the icons of Occupation such as the Separation Barrier, and Israeli settlements. The company was founded by Fred Schlomka in 2007, originally under the name Tours In English. The name was changed to Green Olive Tours in early 2010. Fred was awarded a Fellowship by the Echoing Green Foundation in 2003 for his work with the housing rights of Palestinian Arab citizens of Israel. He started the alternative tour company because he was fed up with the well-funded settler organizations providing tours for Israelis and American Jews who supported their tactics and strategies of land theft and suppression of Palestinian aspirations to statehood. If you have questions about any aspect of the Hebron tours, or any other tours, please contact Fred Schlomka via our email form.